You will not pay annual fee for this card permanently. There is no foreign transaction fee with this card. 0% APR for first 12 months. The regular APR rates are good. Even the maximum APR is reasonable. %3 Balance Transfer fee is awesome and unique. 1.25% regular cash back rate is average. %4 cash advance fee is reasonable. Bonus cash back options could be better. 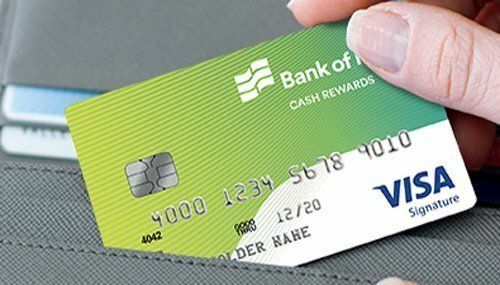 Bank of Hope Cashback Visa Signature is a card which provides you 5% cash back for $1000 purchases in first 3 months. It means you are going to earn about $50 with the first $1000 purchases. Regular cash back value of the card is 1,25% and it is not very bad at all. Other good opportunity of the card is that you don’t have to pay the annual fee. You don’t also have to pay to foreign transaction fee. %14.49, %18.49 or %22.49 will be APR of the card. Your creditworthiness will be decisive for APR but first 12 month you will not pay APR. 23.99% interest rate for cash advance is not also bad at all. You can see rates and editor scores for Bank of Hope Cashback Visa Signature credit card below. You can also scroll/swipe down to usee user reviews for this card. Please let us know if you also have any questions. Regular: %14.49, %18.49 or %22.49 $50 cash back bonus for first $1000 purchase. Except cash advance fee and balance transfer fee, this card has no advantage for people. Just skip it. 1.25% cash back is below average. Funny bonus rewards should be fixed. I don’t think this card is good enough.